2) This is the area between the southern tip of South America (Cape Horn) and the Antarctic Peninsula. 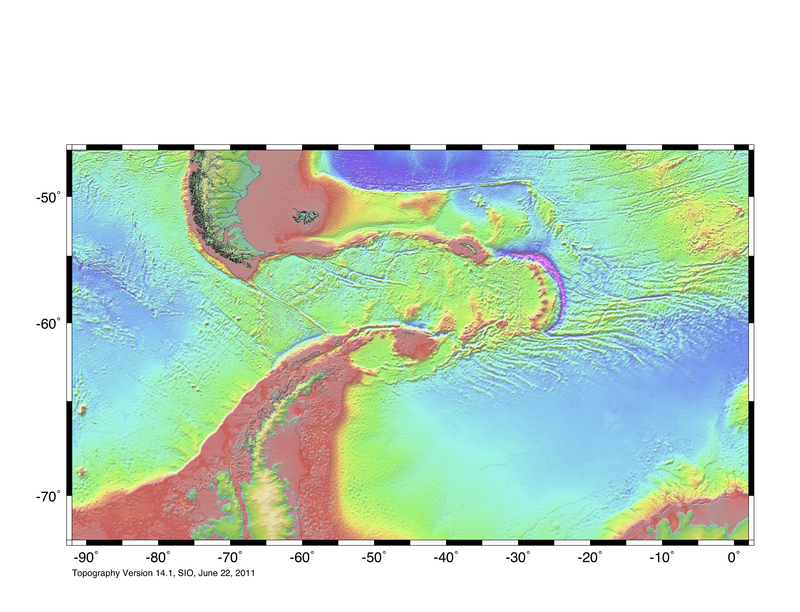 The body of water between the two is the Drake Passage. 1) The oldest is in the southeast and is greater than 8 Ma (see map below). 2) The youngest is in the north and is close to 0 Ma.